I think that my days of the over blown birthday party might be behind me. I just couldn't get my ducks in a row enough to make it happen this time around. However, we did have a party for Mags this weekend. I made some fru-fru tissue paper balls and a lot of home made food. I made home made ice cream, hot fudge sauce, caramel sauce, guacamole and buffalo chili. Then my mom made a beautiful cake and no one could eat all my ice cream and toppings because they filled up on her cake. I totally understand this because when my mom and a cake get together something magical happens. I was in charge of getting the party ready, holding the birthday girl, and talking to my friends. I was not in charge of pictures which means we have about five of the whole night. It really is a shame because Maggie's dress was adorable and turned up in the mail just a few hours before the party started. Here are a few pictures so that when she reads my blog one day, she won't think that I forgot her. These two pictures were before the party. 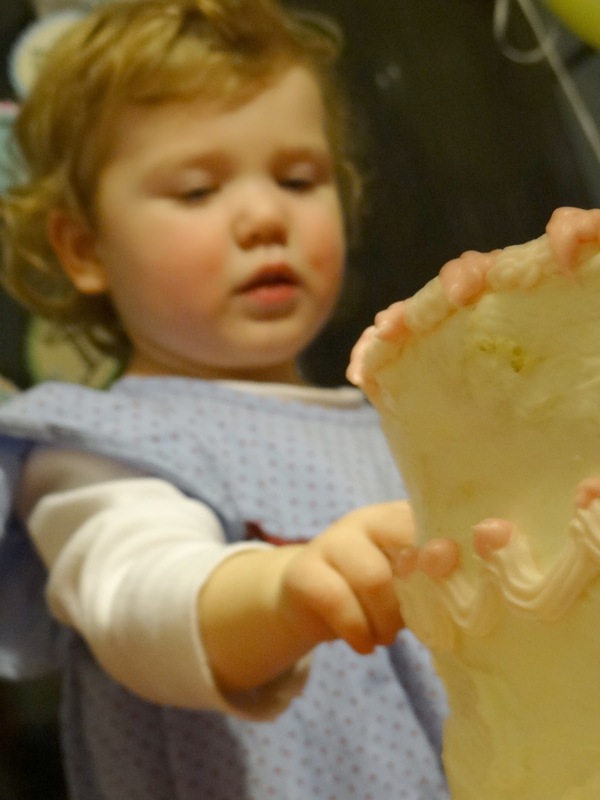 I was so impressed with how well Maggie helped my mom line the cup cake pan. She was very patient and tidy...not at all like her mother. Loved these home made ice cream cones. I snagged the idea from Pinterest a while back and because I already had most of the supplies, they cost about $2 to make! In the end, I'm glad we had a party. It may not have been as big as we have done in the past, but we celebrated! 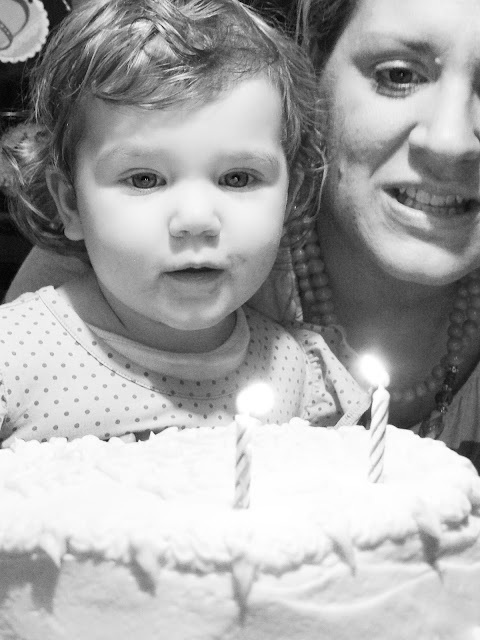 We celebrated with family and friends, with little kids running amok through my house giggling, with babies on the hips of their mamas, and with my precious girl smiling all night long. All was as it should be. Im sure Maggie had a great time and your Mums cake looks like a work of art. Its just a shame there are not a few more photos for those of us who couldnt be there to enjoy. I will have to have worss with Kevin! 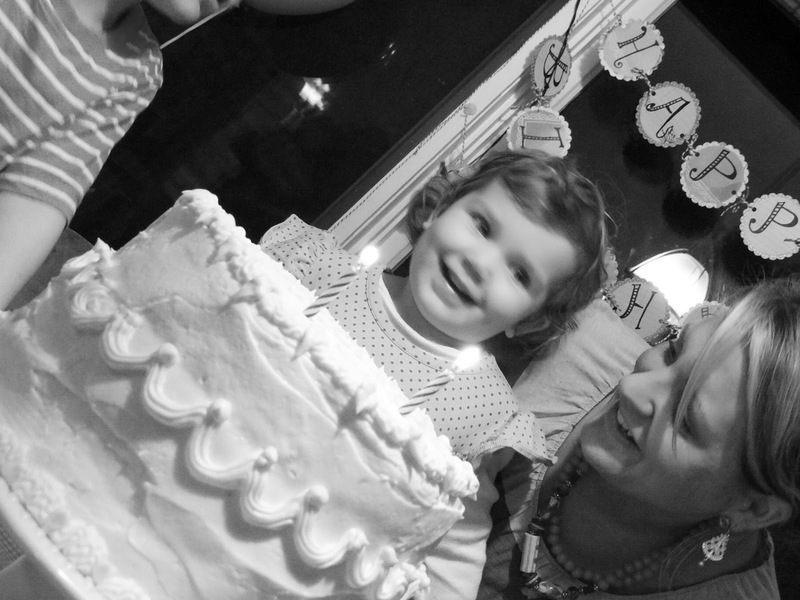 You are so creative just like your sweet mama :) I just LOVE reading your blog! You look soooo much like Amy in the second picture. Love those little girls...Maggie's dress was very sweet and looked lovely with her blue eyes. Libby is surely making a fashion statement with her casual shirt and fluffy tutu and barefeet.